(November 8, 2004) -- LB City Hall has disclosed that a Supplemental Environmental Impact Report (EIR No. 14-04) is being prepared for a proposed 8-story, 140-room Sierra Suites Hotel at the "Pike at Rainbow Harbor." The hotel would be located on 285 Bay Street, bordered by Seaside Way to the north, Cedar Avenue to the west and Bay Street to the south, the city said in a short, official release. 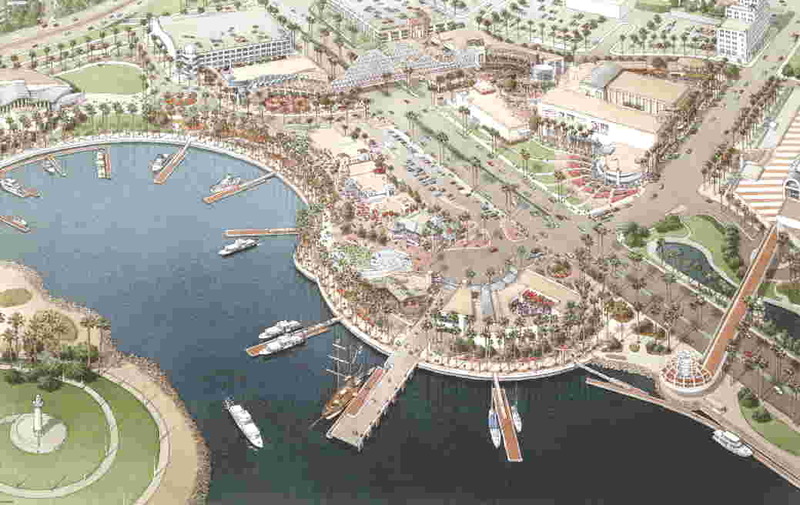 Preparation of a Supplemental EIR suggests that a hotel was not among uses that LB City Hall explicitly certified in its EIR for the tidelands area site. 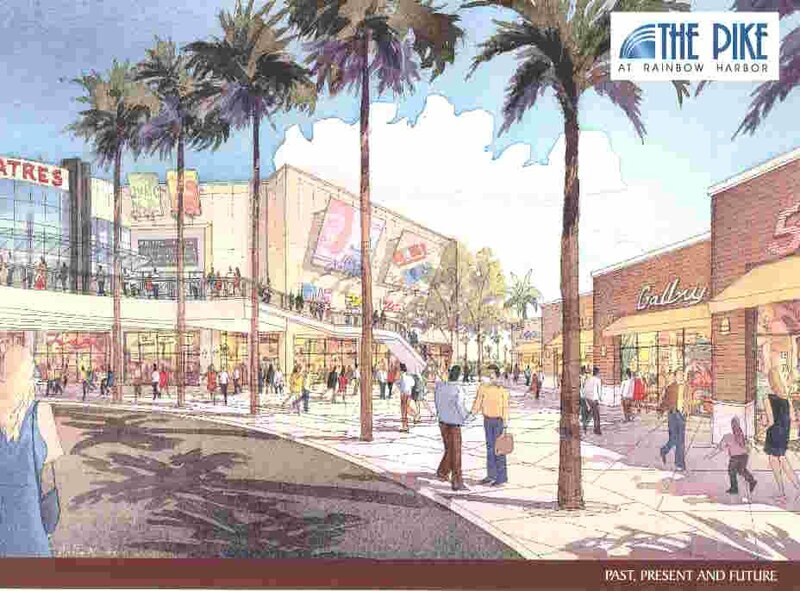 One outspoken critic of LB City Hall's historical downtown/beachfront development practices said the latest move shows that community members' concerns about what is supposed to be LB's signature attraction have proven right. 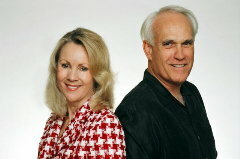 LB writer Bry Myown told LBReport.com, "If all the East Long Beach residents who voted to write-in Beverly O'Neill's name came downtown and saw what she was doing to their city, they would either un-elect her or leave town." As originally proposed by a City Hall-retained architectural firm, the overall "Queensway Bay" area plan was supposed to "bring the ocean closer to downtown." It drew relatively few dissents and considerable applause...although some doubted it would ever take place as promised. The City Council went on to separately approve developments that effectively made the ocean invisible from much of downtown Ocean Blvd. 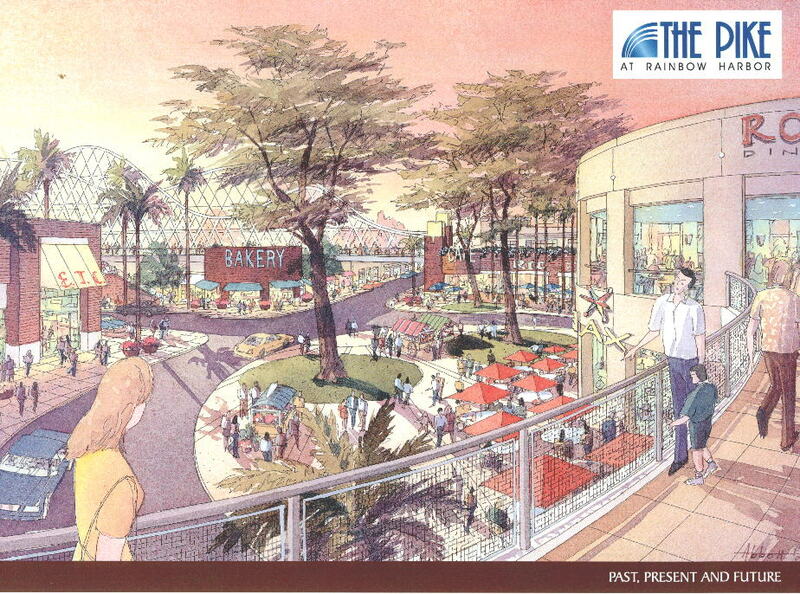 And when Queensway Bay's entertainment and retail component was unveiled by City Hall's chosen developer DDR (not the original QW Bay area architect), it included a movie theater and other commercial uses. Some residents were so dismayed by the QW Bay uses that they brought their concerns to an L.A.-area meeting of the State Lands Commission (SLC), the agency tasked with overseeing uses on state tidelands property. Uses on such property are restricted to certain state-legislature specified tidelands trust purposes. The Commission (comprised of Lt. Governor Cruz Bustamante, the Governor's appointed Director of Finance and CA's elected State Controller) initially balked at inclusion of certain commercial elements (including a movie theater) on the tidelands site. The Commission directed SLC staff to work with LB City Hall to come up with what Lt. Gov. Bustamante called a better deal for state taxpayers in use of state tidelands. 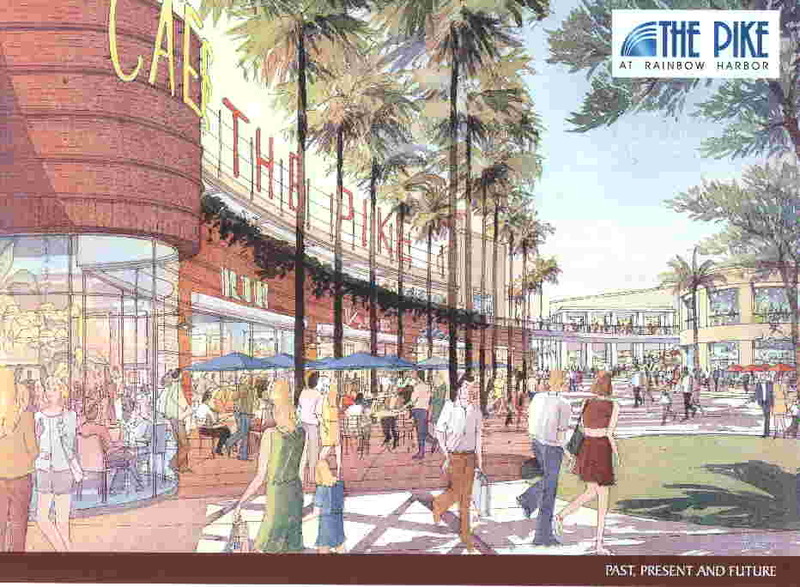 The result was a tidelands trust "land swap" that removed tidelands restrictions on some of the Pike project's commercial footprints (including movie theaters) in exchange for which CA taxpayers received tidelands designation (roughly two for one in size) on a downtown area freeway median and some nearby riverbanks. When news of the 2001 land swap became known, Ms. Myown charged that City Hall had violated the Brown (open meetings) Act in its dealings with SLC staff. City management hastily called a special Thursday Council meeting to get voted approval for the land swap. The Sept. 13 meeting proceeded despite pleas for a delay after the terrorist attacks of two days earlier and produced an 8-1 Council vote (Grabinski dissenting) authorizing then-City Manager Henry Tabaoda to proceed. Ms. Myown and other LB activists including Ann Cantrell, Don May and Diana Mann then caravanned to Sacramento to urge the State Lands Commission not to approve the tidelands trust swap. The Commission voted 3-0 to approve the tidelands trust land swap. The State Lands Commission doesn't have formal permit authority over the project; the CA Coastal Commission has permit authority and it granted Queensway Bay a permit years ago. 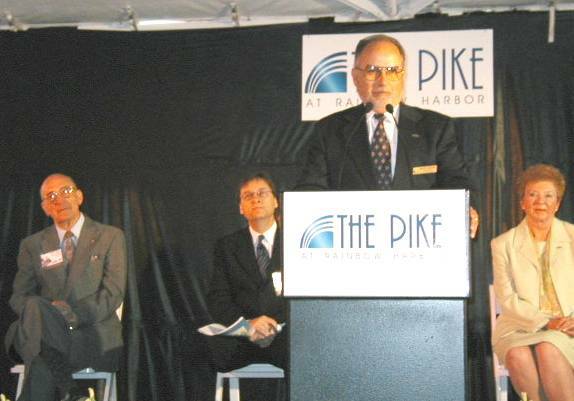 The Pike developer was not party to the SLC proceedings, although the tidelands trust swap sought by City Hall effectively helped advance the project. The state legislature ultimately controls state tidelands...and LB representatives Assemblyman Alan Lowenthal and state Senator Betty Karnette (recently elected to each other's offices) did not intervene in the land swap. 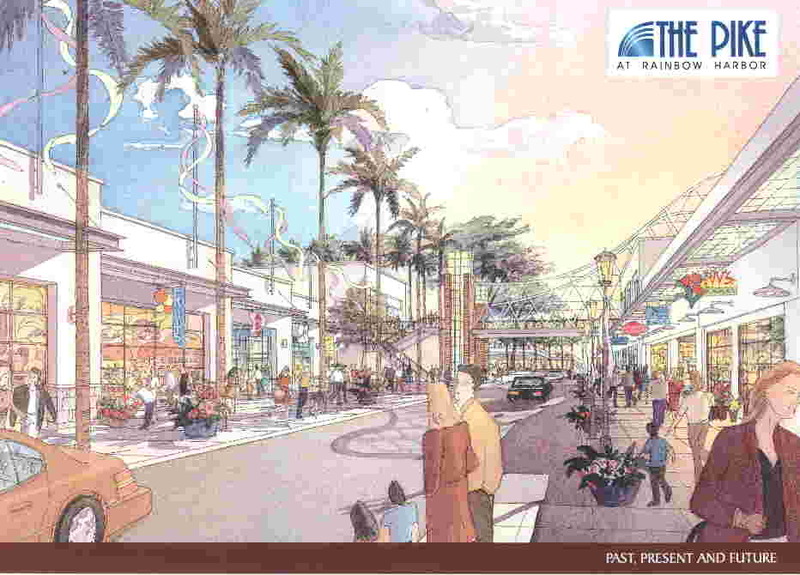 While critics called Queensway Bay a "shopping center by the sea," LB officials said it would produce a "critical mass" for downtown and the rest of the QW Bay area, including the Aquarium and Convention Center. 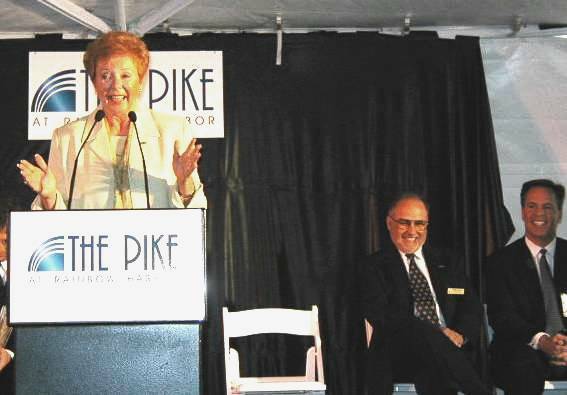 City Hall's developer, DDR, renamed the 18-acre project "The Pike @ Rainbow Harbor," hearkening back to the former Rainbow Pier and nearby amusement zone. ..."I feel like pinching myself to know this is really happening today! I can't tell you how excited I am by this," an exuberant Mayor Beverly O'Neill told a crowd of invited city officials, business leaders and local media. "Like the Pike of old, the Pike at Rainbow Harbor will feature many cafes and public gathering places and become a vital element in the day-to-day life of Long Beach, drawing visitors from throughout the region." Mayor O'Neill: ...I've never seen so many sign offs, negotiations, committee meetings, public scrutiny, economic and theater and financing setbacks and the delays that came from legal setbacks. So this has gone on for a long time, but it's behind us! Isn't that exciting? [applause] And we can now look forward to developing the largest waterfront complex in southern California. It's really a defining moment for the city of Long Beach, because this is the final piece of the puzzle that was initiated ten years ago...And I can remember when I was first Mayor in 1994, [now retired City Manager] Jim Hankla and I would look out the window and say, see that parking lot out there? That's the most desirable piece of property in southern California. And it's going to have something on it that's going to make us all proud. And finally, after I'll say 12 years of active planning, and probably 15-20 years of bringing things together, because people would say, why do we need all these hotels on Ocean Blvd.? Well, that's because the Convention Center wasn't finished. Now we need more hotels. So it takes a lot of time to put all this together. So no other community in southern California can offer the combination of venues that will be located here. And once the Pike at Rainbow Harbor is completed, Carnival Cruises will be here attracting thousands of people to the city. People will have an opportunity to visit this Pike, the Queen Mary, the Aquarium of the Pacific and many of our outstanding restaurants that we have right around here. And we shouldn't forget the number of new residents that are coming. As you're standing here and you look up and see the Camden Project, the "Park at Harbour View,"...and look at the number of people that's going to add to the downtown area. 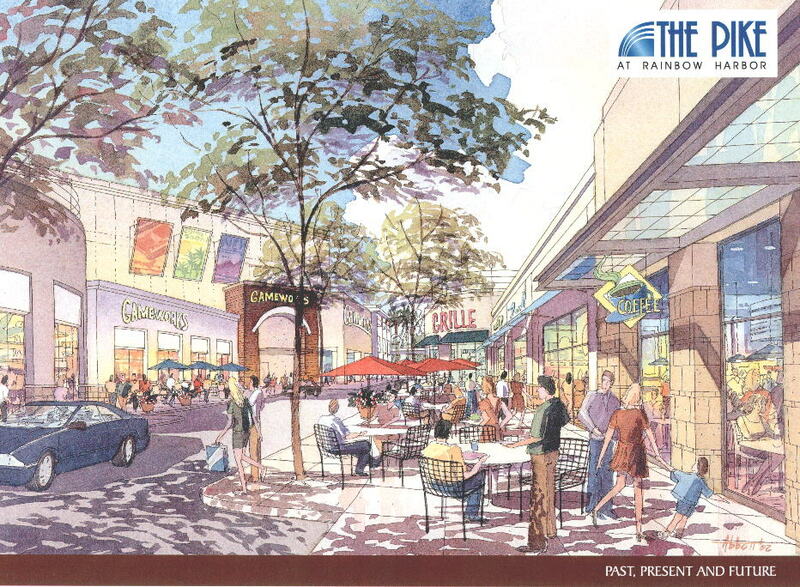 They're going to be able to walk to the downtown, walk to the Pike, and all of the things that are going to be available. So with the new developments going on from the downtown, and CityPlace under construction, that also is a DDR project, our community is going under a massive revitalization that will change our landscape really forever. Long Beach will never be the city it was twenty years ago. But cities should not stand still. If they stand still, they fall behind and Long Beach is moving ahead like no other community in California." ...The trust termination parcels [lists Queensway Bay parcels with certain large commercial use footprints] have been filled and reclaimed, as the result of a highly beneficial program of harbor development, and for over 30 years have been excluded from the public channels, and are no longer in fact tide or submerged lands and are not available or susceptible of being used for navigation or fishing. A City Hall "Rainbow Harbor Fact Sheet," posted on LB City Hall's web site during construction of the Pike @ Rainbow Harbor, notes that the site "is within easy walking distance of...several first-class hotels." Sierra Suites describes itself on its web site as "an emerging brand of all-suite, extended stay hotels, with 21 locations in major metropolitan markets nationwide. Sierra Suites combines a high-quality suite hotel concept with targeted amenities and a service experience that rivals more upscale competitors - all for a very comfortable rate." It adds, "All Sierra Suites extended stay hotels are new construction, so you can expect consistency throughout our brand. 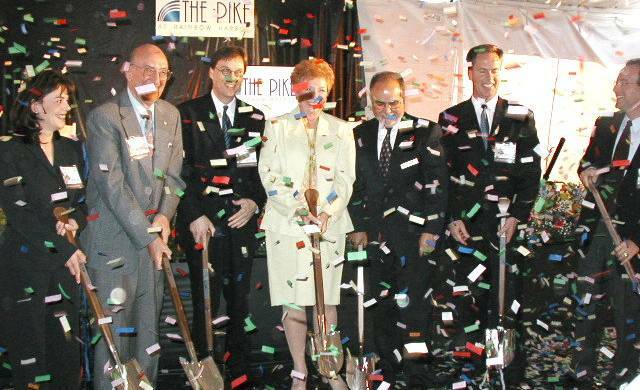 The first hotel was built in Atlanta, Georgia in 1996 and our newest extended stay hotel opened in Branchburg, New Jersey in July 2004." Responding to an inquiry from LBReport.com on whether hotels are considered appropriate uses in state tidelands, State Lands Commission Executive Director Paul Thayer emailed, "Hotels are generally appropriate uses of public trust lands because they facilitate the public's ability to use and enjoy these lands." City officials say there'll be a 45-day public review of the hotel-enabling Supplemental EIR once it becomes available. No date has been announced.